Valium is a prescription-only drug, and it contains Diazepam. Thus, we use it to treat anxiety disorders, muscle spasms, and symptoms that occur due to alcohol withdrawal. Also, it may be used in combo with other drugs to treat seizures. So, knowing about the Valium side effects can help you optimize your therapy. Diazepam belongs to a class of drugs called Benzodiazepines. Valium increases the power of an inhibitory brain chemical called Gamma Aminobutyric Acid (GABA). Therefore, using this drug calms down the jittery nerves and causes sedation. What are the Common Valium Side Effects? How to Reduce the Severity and Incidence of Valium Side Effects? Speaking about side effects, they are an integral part of any drug therapy. As such, it can occur as an extended form of the desired results. While there are some strange feelings with using this drug, it cannot be related to any known information about the drug. Maybe, these strange side effects are linked to your genetics. In any case, side effects are always unintended and unpleasant in nature. Luckily, not all of them are harmful to you. Thus, some effects wear off as your body becomes used to the drug, but also some effects can persist. For this reason, you need to talk to your doctor and get a clear view of the side effects. Overall, some of the side effects may be the sign of addiction, dependency or something severe. The following Valium side effects are not serious in nature and tend to subside over time. However, if they persist or cause you significant distress, you need to talk to your doctor. In addition to the Valium mentioned above side effects, a small number of patients may also experience any of the following symptoms. These are less common yet severe. In general, Valium is given for less than four months in a row. It’s because the data regarding the usefulness of its long-term usage is inconclusive. Nonetheless, your doctor may prescribe it for a longer time after seeing your condition and response to the drug. The most unusual side effect of long-term Valium use is Tolerance, which is followed by addiction. Therefore, drug Tolerance develops when your body needs a larger dose of the drug to produce optimal pharmacological effects. Therefore, you can say your body becomes saturated with the drug effects. As a result, Tolerance in most cases is admittedly an early sign of future drug dependence. So, for a drug like Valium which has a high level of abuse potential, slowly reducing the dose rather than “cold turkey” can lessen the risk of tolerance, withdrawal symptoms and ultimately the addiction. Unfortunately, there is no way you can fully protect yourself from the unpleasant and potentially harmful side effects of this drug. Though, that doesn’t mean you shouldn’t take it. Your doctor should above all only prescribe it after assessing your overall health status, specific health issues, and comparing them against the potential benefits. If a drug is given, it means the potential benefits are good and outweigh the side effects. However, taking care of minor things and following your doctor’s directions is key. Thus, this only makes sure you will encounter fewer side effects but may also help to optimize the benefits. Talk to your doctor if you have a history of drug or alcohol abuse. Normally, patients with a history of such abuse are more likely to become the victim of Valium addiction. Not all the side effects of Valium are harmful but if any of these persist, cause you significant distress or worse, you need to see your doctor immediately. To reduce your risk of tolerance or addiction, take it only as recommended. But remember doing so will not guarantee you won’t develop an addiction. Addiction is a chronic disorder and requires a group effort from family, friends and healthcare professionals. A mix of medications and a healthy support system often works wonders to help you live a drug-free life. Addiction and withdrawal are very closely related. Withdrawal symptoms indicate an addiction to a particular drug. Addiction centers have a skilled team dedicated to giving you all kinds of services, and they help you get back to normal life. The team consists of well trained and qualified physicians, counselors, psychologists, psychiatrists and auxiliary health care professionals. They all work together to design addiction treatment plans that are unique to your personal needs. Experts in addiction can provide the right guidance and can help you deal with addiction or Withdrawal. 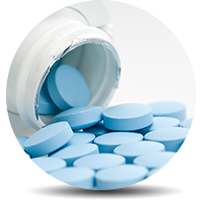 Want To learn more about Valium side effects? Talk to the experts near you. Click here for more.